Interschool gymnastics competitions were held between participating GPS schools even before the GPS was officially formed. Gymnastics was one of the very first competitions introduced by the newly-formed GPS Association in 1918. 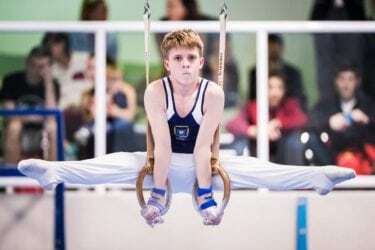 The Southport School, St Joseph’s College Gregory Terrace, Brisbane Boys’ College and Brisbane Grammar School compete in the annual GPS Gymnastics Championship. 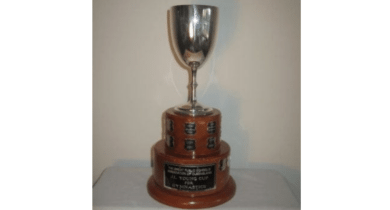 The Cup is named after Jim L. Young who was a staff member of the Anglican Church Grammar School for 40 years – 1952 to 1991. Jim was originally appointed Director of Physical Education, but in his time taught English, Latin, Mathematics, Social Science, and Physiology. In addition to this he further contributed to the school community as a Housemaster with Mawson House. He was a very gifted athlete and gymnast in his time, and this was his chief area of interest and expertise. Jim also assisted with Cricket, Tennis, Volleyball, Basketball, Boxing and Debating and in his early years was Adjutant of the Cadet Corps. Jim is remembered as a gentle, caring and extremely conscientious man with a great love of language and literature, and a delightful sense of fun, and that his courage and determination were firm foundations of his character. He died in 1994. We honour Jim’s contribution to the GPS sport of Gymnastics. View the rich history of GPS Gymnastics Champion schools in the Trophy Room. 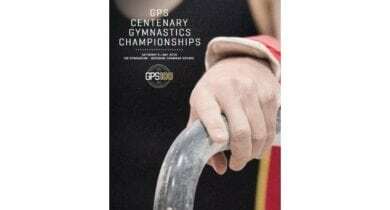 The GPS Centenary Gymnastics Championships Official Program contains competitor team lists, history of GPS Gymnastics results, rarchive images and inspiring quotes from GPS gymnasts past and present.